Last year around this time, we honored mothers and their day on Star Maker Machine with our Oh Mama theme. This year, it’s Mothers. Both times, Mama Tried was the first song I thought of. Last year, Paul posted a version by someone called Merle something or other. That’s a guy’s name, apparently. I’m kidding, of course. I certainly know who Merle Haggard is by now. But I first heard Mama Tried in 1971, and that probably would have been my reaction at the time. In 1971, at age 11, there were things I knew for certainties. The Grateful Dead were the greatest band on earth. Country was terrible, something I would never like. And Mama Tried was a Grateful Dead song. Since then, there have been some changes. I suppose that kids don’t ever think that a song by a band they like could be a cover. Indeed, the very idea of a cover is alien to them. I can’t remember the first song I learned was a cover, but I know it was a shock. The first time I heard a cover of a song I knew in its original version, I know my reaction was, “how dare they!” Learning that Woodstock was by Joni Mitchell really confused me, because I loved her music, but CSNY did the “real” version. But, by the time I learned that Mama Tried was a cover, I had learned that tracking down the originals was a great way to expand my knowledge of songs and artists. And I had learned to love the good stuff in country music. I was ready for Merle Haggard. 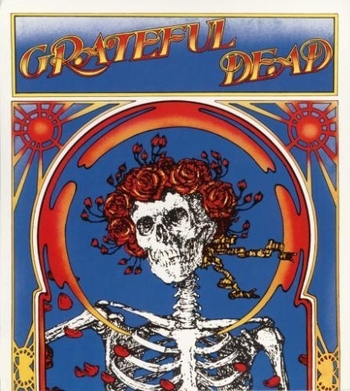 Having said that though, I still think of Mama Tried as a Grateful Dead song. Do a search for “Mama Tried Grateful Dead” in Amazon’s mp3 store, and you will find 13 versions, all live, spanning from 1969 to 1983. Indeed, listen to them in rough chronological order, and you can trace the evolution of the Dead’s sound, for better or for worse. So, in a sense, this is a Grateful Dead song after all.